Carolyn's unique background experience of engineering and psychometrics has enabled her to build an extensive track record of success in business acceleration - applying insight into complex business issues with pragmatic and profitable results. As a Director, Executive and Mentor, Carolyn has combined her knowledge of business and technology to hone her strategic business development skills. For example, she has led a technical consultancy to increase their order book by £2-million in one year and she continues to advise SMEs in the south west on business growth. She has board level experience within multi-nationals and SME's, using her fine-tuned ability to unearth the latent capabilities of people - finding the hidden opportunities to achieve more from individuals, teams and organisations. Her uncanny ability to gain buy-in and support for change while creating highly motivated teams has enabled many businesses to introduce sustainable organisational change to enabled accelerated business growth. Currently a Non-Executive Director (NED) of several companies in Devon and Cornwall, her pragmatic insight is used to focus these organisations on a strategy for business growth, whilst increasing capacity to support that growth. 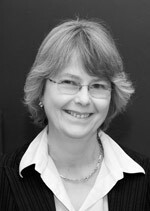 Her previous roles include Board Directorships in two global companies, both of which involved mergers and leading through significant culture changes, skills growth, introduction of the use of advanced technologies & innovation lifecycles, creation of multi-disciplinary teams, and new processes leading to considerable improvements in productivity, costs, quality & time to market. Carolyn has used her expertise to develop PPG Ltd's business diagnostic tool LIMA™ to ensure change is managed cohesively and sustainably through the entire business, as well as co-developing the Entrepreneurs Bootcamp™ programme. She is also fully qualified to administer a number of psychometric indicators, and also the Myers-Briggs Type Indicator (MBTI)®. If you want to know more about how Carolyn can support business growth in your organisation, she can be contacted at the Pragmatic Performance Group.